Well known as a good source of probiotics, kombucha is a sweet tea beverage fermented with yeast and bacteria. It is commonly called the “immortal health elixir" and it's more popular now than ever before. In fact, the market is expected to grow at a healthy pace of approximately 25% per year until 2020. In addition to its strong, robust flavor, kombucha is an incredible tonic with many health-promoting properties. Let’s explore six ways kombucha supports gut health. True kombucha contains a significant amount of live probiotic strains including Lactobacillus. Lactobacillus is a genus of friendly bacteria that encourage normal digestion, soothe the digestive tract, and promote easy bowel movements. 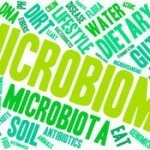 If your gut needs to be tamed, probiotics of the Lactobacillus variety (and there are many species of Lactobacillus – Lactobacillus Rhamnosus, Lactobacillus Gasseri, Lactobacillus Brevis...) may help. The human body requires and uses oxygen to carry out its normal processes and metabolic byproducts like free radicals are unavoidable. Free radicals lead to oxidative stress and can damage cells. Antioxidants are like a fire extinguisher; they're the body's defense. Kombucha has demonstrated an ability to help defend against free radical damage. The immune system is an integral component of the body's ability to heal, defend, and maintain itself. Without complete, proper nutrition, or if toxin exposure becomes too great, the immune system may be stifled. There are a number of ways to support normal immune system function and, between its healthful probiotics and rich nutrient content, kombucha seems to be one of them. Although digestion is a complex series of events, it's a process your body can and wants to carry out efficiently and without issue. In a perfect world, nobody would ever experience any sort of digestive upset. Unfortunately, we don't live in a perfect world and peptic ulcers, also known as gastric ulcers, are a common problem experienced by many. They are sores in the lining of the digestive tract that are both painful and disruptive. Some studies suggest that kombucha may aid in healing ulcers due to its antioxidant activity and ability to protect the stomach lining. 5. 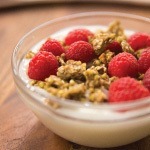 Nutritional Support Against Cancer? Cancer is the second leading cause of death in the U.S and almost 600,000 Americans die of cancer every year. Although there are over 100 different types of cancers, it can, in general, be described as a group of diseases involving abnormal cell growth with the potential to invade or spread to other parts of the body. We have to be clear that kombucha isn’t a treatment or preventative measure for cancer. But, some research has resulted in opinions that kombucha may have something to offer with respect to resistance against cancer. It's an interesting concept and hopefully more research will yield more information. Maintaining a healthy body weight is one way to support overall wellness and good health. Unfortunately, many people struggle to stay at an ideal weight. In fact, approximately 70 percent of Americans are either overweight or obese. This leads to many health problems such as diabetes and heart disease. 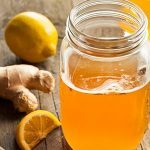 Kombucha isn't a weight loss beverage but some research has shown that when it's part of an overall strategy it may help promote a normal body weight. The probiotic content of kombucha is responsible for many of its health benefits. To truly understand the full extent of kombucha's health benefits, you have to understand the human microbiota and the microbiome – a complex network of symbiotic microbial cells in the gut. They assist with digestion, support the immune system, and are necessary for countless other physiological functions. 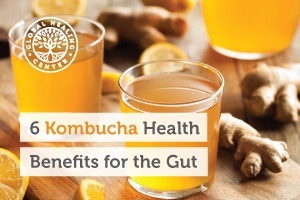 Hippocrates, commonly known as the Father of Modern Medicine, said, “All disease begins in the gut.” Conversely, health begins in the gut and kombucha can help. One tip, when deciding which kombucha is right for you, remember that many store-bought brands add "extra" ingredients. They may be herbal, organic, and beneficial... or they might be extra sugars or artificial flavors. Always check the ingredients! Are you a fan of kombucha? 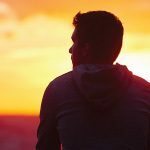 What has it done for you? Leave a comment below and share your experience with us. Vīna I1, Semjonovs P, Linde R, Deniņa I. Current evidence on physiological activity and expected health effects of kombucha fermented beverage. Journal of Medicinal Food. 2014 Feb;17(2):179-88. doi: 10.1089/jmf.2013.0031. Epub 2013 Nov 5. Dufresne C, Farnworth E. Tea, kombucha health: a review. ResearchGate. 2000;336:409–421. doi: 10.1016/S0963-9969(00)00067-3.